Chase Diamond is ON FIRE! Home » Featured » Chase Diamond is ON FIRE! Chase Diamond is coming off another solid day as he was 4-1 with his premium picks Sunday and $1000/game bettors would have made a $3,140 profit tailing his picks. Yesterday’s result put Chase $17,190 in the green for last week, join Chase Diamond’s winning team now as he has picks up for sale for Monday already with Chase’s 20* MLB Diamond Play and Chase’s 20* MLB VEGAS INSIDER. Plays you definitely don’t want to miss as Chase Diamond is our top ranked MLB handicapper this season! Try out Chase Diamond with a 3 days All Sports subscription – 100% GUARANTEED to show a profit or you’ll get another 3 days absolutely FREE! Another handicapper who has enjoyed plenty of success in recent weeks is Jack Jones who has booked $1000/game betting clients a cool 20 dimes with his picks over the past 30 days. Jack was the No. 1 Ranked NBA Handicapper on the network during the 2012-13 season and he nailed his top play on the Celtics yesterday. Jack Jones 30-Day All Sports Pass goes for just $349.95! You’ll get 30 days of winners in all sports while SAVING $1,150.00 off the cost of 30 daily packages ($50.00 times 30 = $1500). Of course, Jack guarantees you’ll make a PROFIT or you get another 30 days at NO EXTRA COST! Mike Lundin was one of our top 10 MLB handicappers in 2014, and now you can get every premium MLB pick released for a full 7 days for just $69.95 with this subscription option! 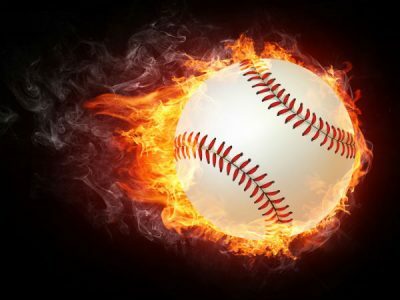 It’s a great way to get the season started, plus, you are GUARANTEED to PROFIT or you get an Extra 7 Days of MLB Picks from Mike Lundin for FREE!